You can visit the island of Rodos either by sea or by air. There are daily routes of ships from Piraeus to the island, making stopovers on the islands of Patmos, Leros, Kalymnos and Kos - the journey takes approximately 12 hours. There are also coastal connections with other islands of the cluster of Dodekanese but also with Crete and islands of Cyclades like Santorini island (the route is Piraeus - Santorini - Kos - Rodos). 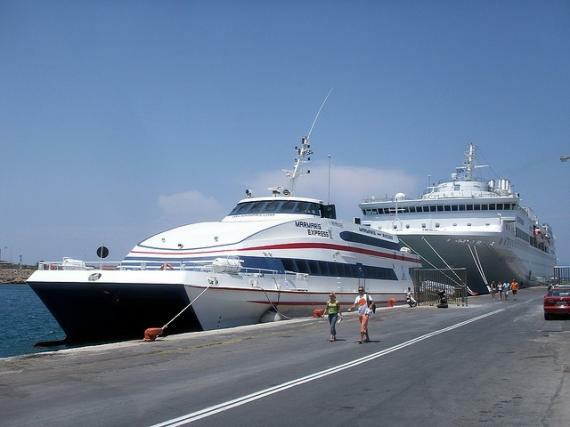 Blue Star Ferries arrive from Piraeus every Monday at 15:00 and 19:00, Tuesday, Friday and Sunday at 19:00, Wednesday at 16:00 and 19:00, Thursday and Saturday at 9:00 and 24:00. Prices: 53€ (deck), 70€ (berth cabin). Tel. 210/8919800. Alternatively, a daily direct air connection is available, with scheduled flights from Athens to Rodos and duration about 40 minutes. The flights are operated by Olympic Airlines (tel. 210/9666666), Aegean Airlines (tel. 801 11 2000 0) and Ryanair (www.ryanair.com). From Rodos there are also flights to Kos, Karpathos, Kastelorizo, Mykonos, Santorini, Heraklion, Crete and Thessaloniki. Regarding getting around the island, the long distance transportation of the island is quite good with daily routes. During the tourist season, the frequency of routes is increased. For getting around within the city, there are urban buses. Faliraki at 6:45, 8:00, 9:00, 9:45, 11:30, 13:00, 14:20, 16:30, 17:30, 18:00, 20:30, 22:30 (Price: 2€). Lindos at 08:30, 09:00, 10:00, 11:30, 13:00, 14:30, 19:30 (Price: 4,50€). Gennadi at 08:30, 11:30, 14:30 (Price: 5,50€). Urban bus station Tel: 22410/27706. Long-distance bus station Tel: 22410/26300.